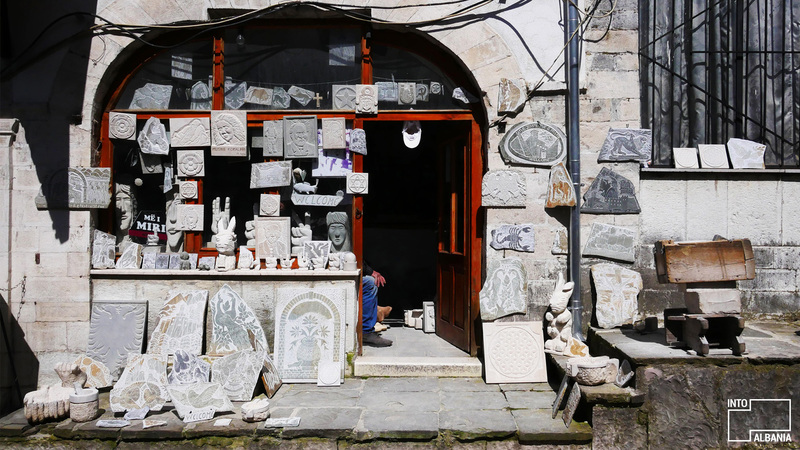 A man of deep wrinkles and intelligent eyes awaits you in the Gjirokastra Bazaar. His name is Muhedin Makri. 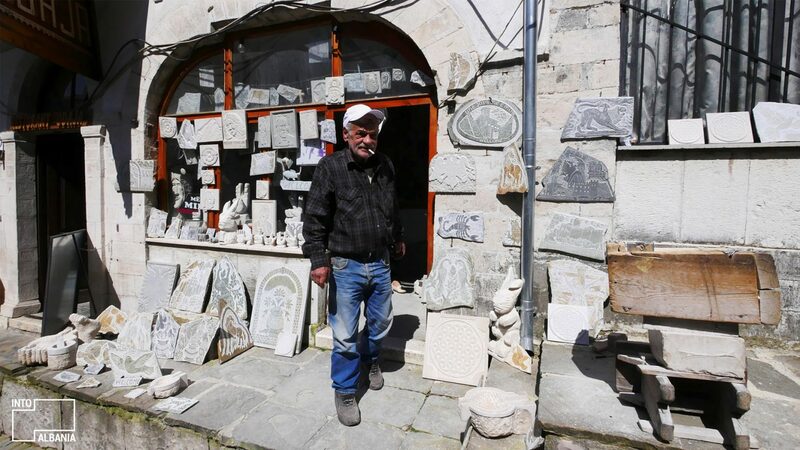 He continues the trade of handmade stone carvings and small sculptures, passed on to him from previous generations. 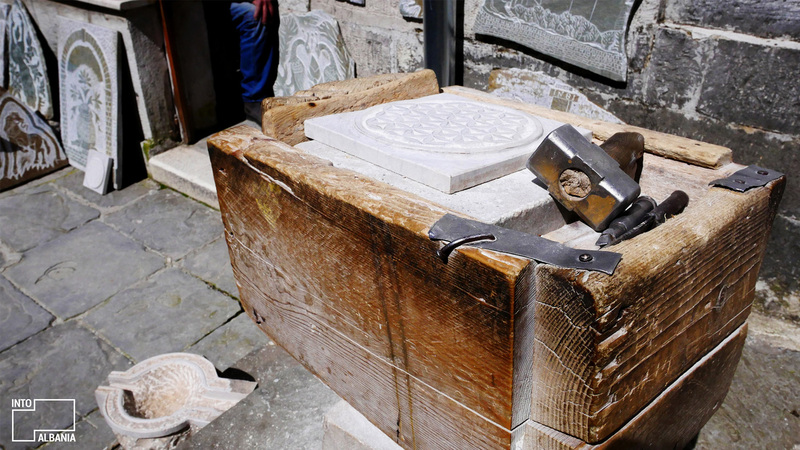 His grandfather and father taught him this handcraft involving nature’s hardest material and the symbol of Gjirokastra, the city of stone. Indeed, his dagger and hammer shape the hard stone in a way only he knows how! Mr. Makri is over 70 years old but shows no signs of slowing down. It is incredible to witness a shapeless stone turn into and an elegant work of art! Every morning, he opens the doors of his modest shop and proceeds to work on orders made by both tourists and locals. Among many other items in his shop, you’ll also find portraits of Ismail Qemali and Ismail Kadare, two men who have greatly influenced the history of the city and the nation at large. Mr. Makri’s handcrafted objects are ideal gifts that will resist the test of time.